Following a successful first run in 2016, SiGMA’17 is coming back with the Startup Pitch where hundred startup companies will get a free booth at SiGMA, invitations to networking events and SiGMA PR. But only ten startups will be shortlisted to make it to the final. Ten finalists will have a chance to take their business to the next level and get themselves in front of seven investors to master the three-minute pitch. Acknowledged as one of the 50 most significant people in the world within the Gambling Industry by Gambling Intelligence, Morten Klein is a property mogul from the Klein Group. Carla MareeVella is the CEO at Optimizer Invest. Carla specialises in user experience, digital marketing, technology, data, operational efficiency and CRO. The founder and CEO of investment and advisory firm Ariadne Capital, Julie Meyer is a leading investor and entrepreneur in digital, high-growth, early stage businesses around the world. Simon Collins is the Founder of Gaming Realms, a novel new bingo based consumer proposition targeting smartphone and tablet devices. 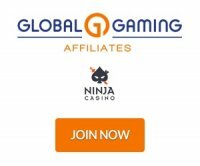 Simon is also the Founder of an online bingo focused gaming business Cashcade Ltd.
With over 10 years of experience in iGaming and digital advertising, Ory Weihs runs XLMedia Group, the largest public listed affiliate company for iGaming worldwide. Robin Reed is a start-up romantic himself as well as founder of Gaming Innovation Group (GIG), a rapidly growing gambling solutions and entertainment provider. Finally, Roger Walker is a Partner with Partis Solutions. He provides direct support to board execs and corporate development teams from some of the largest gaming industry operators and investors. The Summit of iGaming Malta conference is free for affiliates and is one of the biggest conferences of the year.